This entry was posted on Tuesday, February 12th, 2019 at 12:00 pm. THE White Horse Children’s Centre is under threat of closure as Wiltshire Council look to remove ‘underused buildings’ due to a reduction in funding for family services. 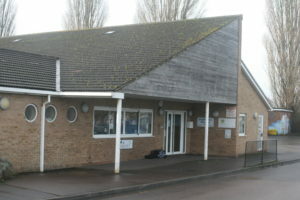 The White Horse Children’s Centre, located on Eden Vale Road, provides care services for children, run by Spurgeons and funded by Wiltshire Council. It is currently under consultation to find out whether it is financially viable in its current location, or whether it will need to be relocated to a community building. Westbury Town Council has responded to the consultation by saying, “The loss of a children’s centre is destroying the fabric that keeps the community together. The children’s centre is sited in an area of deprivation and is well used, people know where it is and the services provided. By re-providing a flexible centre that moves bases, this could cause confusion. “Wiltshire Council promote community cohesion, yet the loss of the children’s centre will result in community breakdown. There will be an impact of staff working flexibly across a number of sites. For example, increased mileage and carrying equipment. Wiltshire Council said, “Wiltshire Council is asking for people’s views on proposals to expand its successful model of providing children’s centre services in local community venues. “The centres which are part of the consultation are: Cricklade, Pewsey, Mere, Salisbury City, Trowbridge Longfield and Westbury White Horse. “Currently the services are provided in a mix of venues, including dedicated buildings or community sites such as libraries, church halls and community centres. More people are also accessing information online, so future provision will have to meet that need. “The council has worked with children’s centre service providers The Rise Trust and Spurgeons, to identify underused buildings, to ensure that frontline services to families are protected. “They have helped provide an overall picture of which centres are best used and where new community venues can be found.